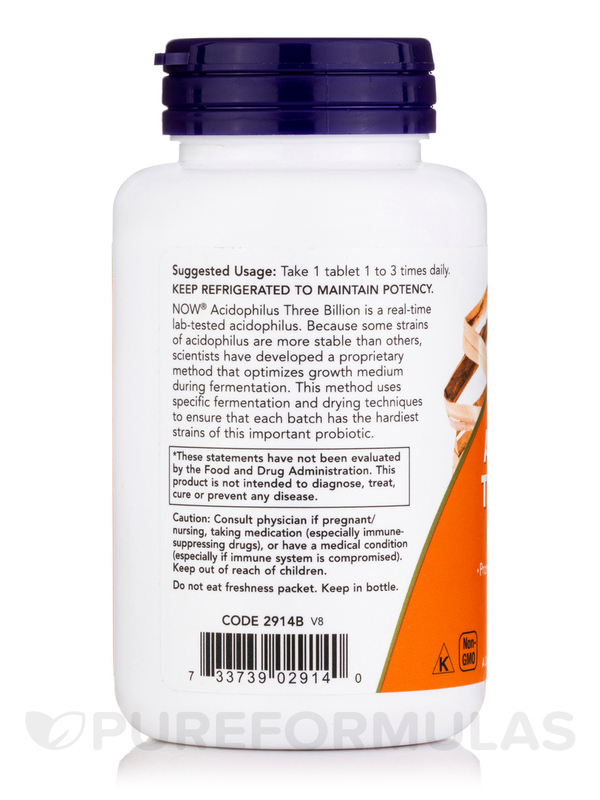 NOW is pleased to introduce Stabilized Acidophilus‚ a real-time lab-tested Acidophilus. 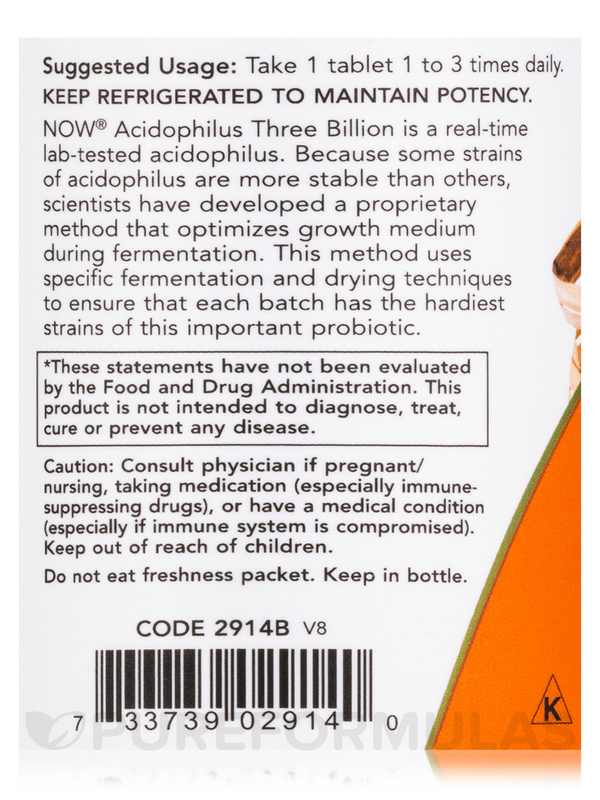 Because some strains of Acidophilus are more stable than others‚ scientists have developed a proprietary method that optimizes growth medium during fermentation. This method uses specific fermentation and drying techniques to ensure that each batch of Stabilized Acidophilus contains the hardiest strains of this important probiotic. In addition‚ substantial overages are incorporated to guarantee full potency at room temperature for the entire life of the product. 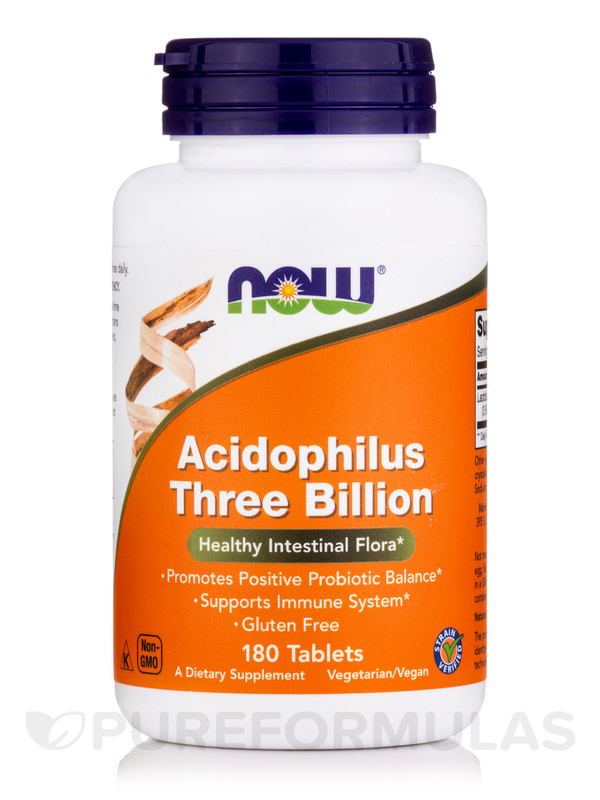 Finally‚ Stabilized Acidophilus is packaged in glass for maximum protection from moisture. 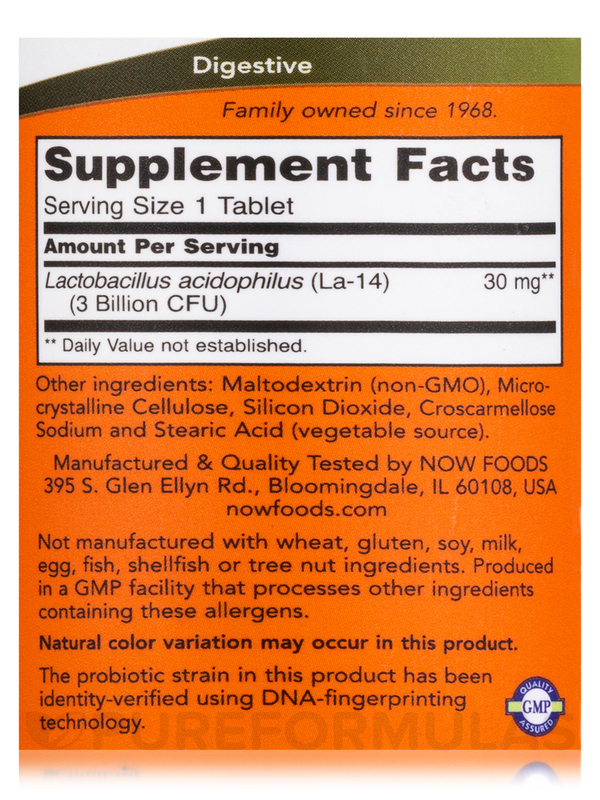 Other Ingredients: Maltodextrin (Non-GMO)‚ cellulose‚ silica‚ croscarmellose sodium and stearic acid (vegetable source). 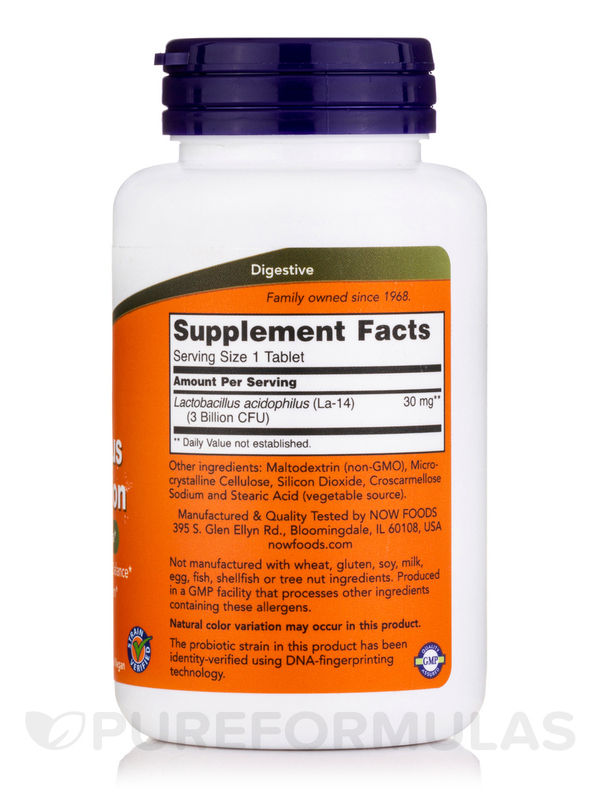 Take 1 tablet 1 to 3 times daily.